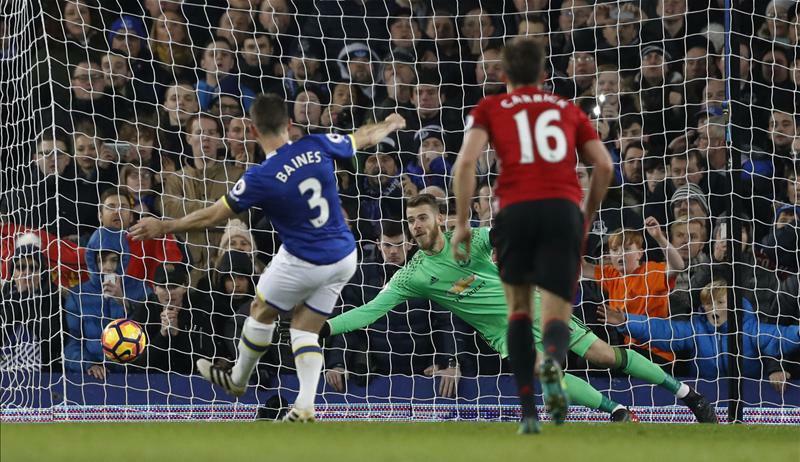 Leighton Baines struck from the spot mere minutes from stoppage time to deny Manchester United of the victory at Goodison Park. The defender beat de Gea in the 89th minute as former teammate Marouane Fellaini felled Gueye in the box shortly after coming on, cancelling out Ibrahimović's sublime lob over Stekelenburg in the first half. Everton were brimming with enthusiasm right from the whistle, enjoying the lion's share of possession and drifting dangerous balls into goal territory. On the contrary, the Red Devils were still struggling to get into a rhythm, with Pogba's attempt for a social media viral worthy long shot ending in the stands, and Mkhitaryan's ball slightly late on the offside call. Things soon turned towards a scrappy direction, with Gareth Barry leaving a mark or two on Zlatan Ibrahimović, as Michael Oliver gave him a warning - and the referee would have more work to do a few minutes later when Rojo swam through the air and took out Gueye, lucky not to have received his marching orders afterwards. 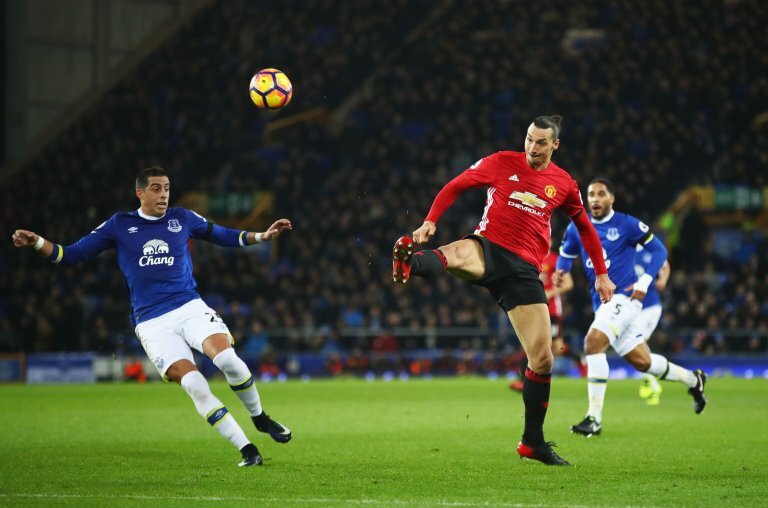 The Toffees were continuously looking to play it in towards Lukaku but to no avail, while Mourinho's wait for league scoring rampancy appeared to be continuing. Quality was scarce for most parts of the first half, with a severe lack of incise build-up play, instead headless running and even more headless challenges. Just as it appeared we were en route to a goalless half-time interval, Zlatan Ibrahimović would unlock the game by capitalising on Maarten Stekelenburg's grave risk. The goalkeeper came surging off his line to collect a loose ball, but the Swedish enigma was also on the chase, and he lobbed it over the onrushing man with the outside of his boot, bouncing over, high and far - then coming onto the crossbar and bouncing slightly past the goalline. It happened to be that the goal pretty much was the only significant chance of an otherwise distressing 45 minutes of viewing. Unfortunately, the early impressions when play resumed were that more sloppy football was set to commence. De Gea gave it away to Lukaku but went unpunished, while there were a handful of sloppy passes around the pitch. The keeper wasn't at fault later on though, as he palmed away Mirallas' shot following some neat give-and-go with his compatriot. To respond, United piled on the pressure, before rattling the woodwork through Herrera's thunderous volley. 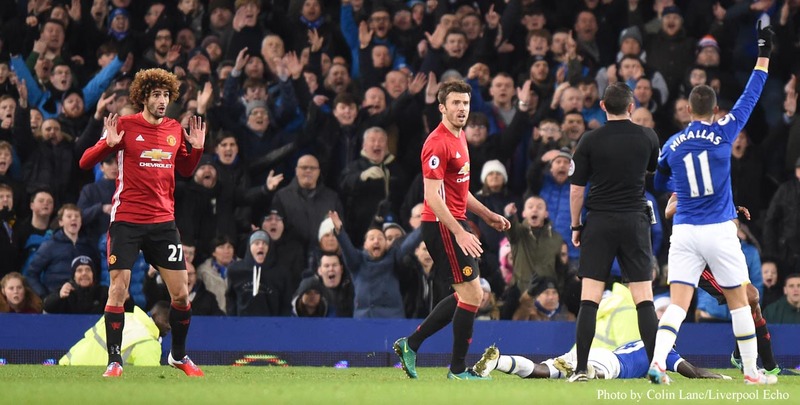 But Everton soon felt the momentum swinging in their favour, and de Gea was dragged onto the frontline to deny Gueye, Holgate and Valencia respectively, causing a great amount of discomfort for Mourinho's side who were up against it. They looked to have come out unscathed when the brakes appeared to be pumping for the Merseyside hopefuls, however Fellaini's inclusion - which became his 100th appearance in the red shirt - would undo all that resilience. 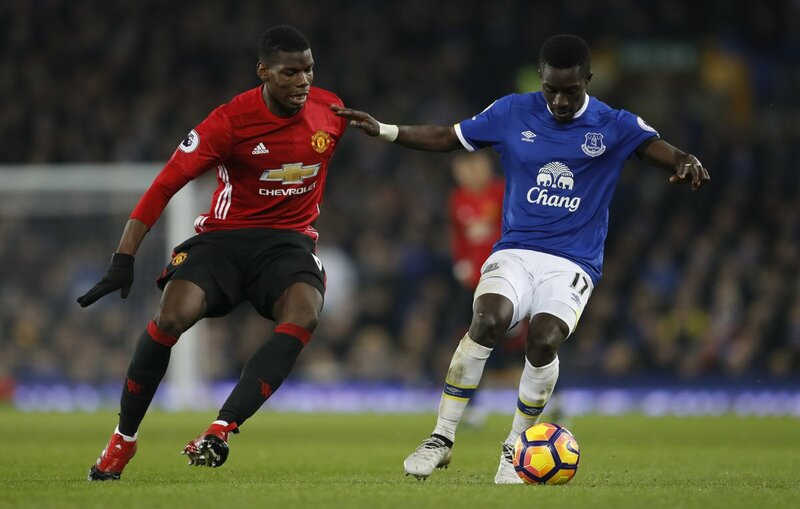 Idrissa Gueye picked up the ball in the box and a flash of light later would see him on the ground after being clumsily clattered into by Marouane Fellaini. He and de Gea both appealed and instead received a yellow card for their efforts. 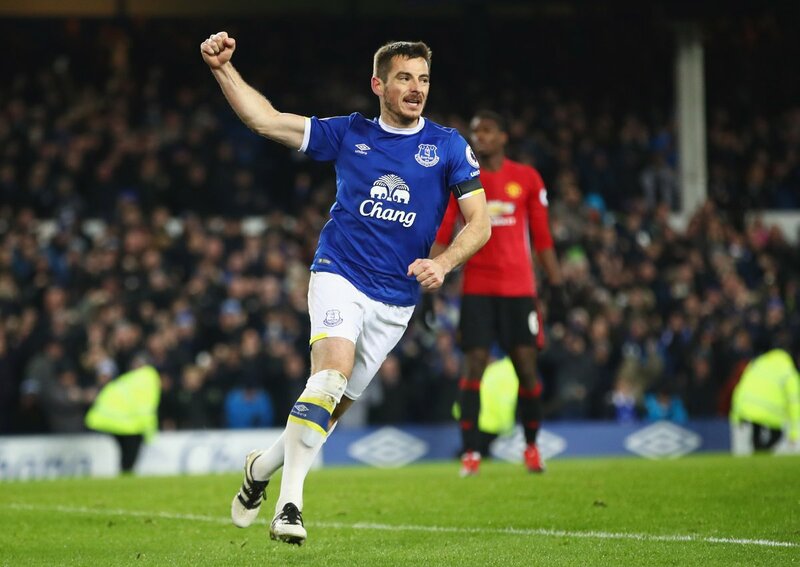 Leighton Baines would step up on the 89th minute to accurately slot it out of reach for the Spanish keeper as he sent it to the bottom left, and Goodison Park erupted in celebration with the Red Devils on the verge of being halted once again in the venue. 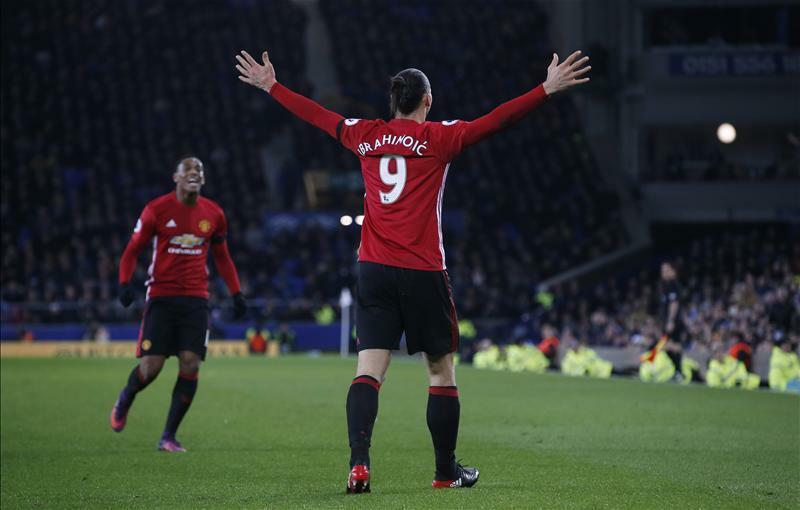 Everton pressed for a late winner but de Gea saved strongly, while United's attack fizzled out towards the end. It wasn't a game for the feint hearted or the appreciators of fine football, but it was one for Everton's home fans, again.